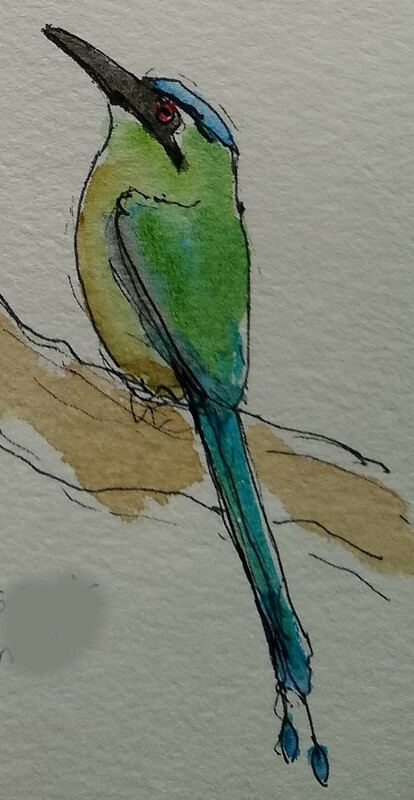 My first ever Motmot painting! This was inspired by a sketch I made in Costa Rica trip. Hoffman's Woodpecker (Melanerpes hoffmannii). This woodpecker occurs from Southwest Nicaragua to Northern Costa Rica. We saw several of them over a two week period. One of the characteristic markings of this species is that the nape (back of neck) is yellow. This male was busy hunting for bugs and was oblivious to my close presence.